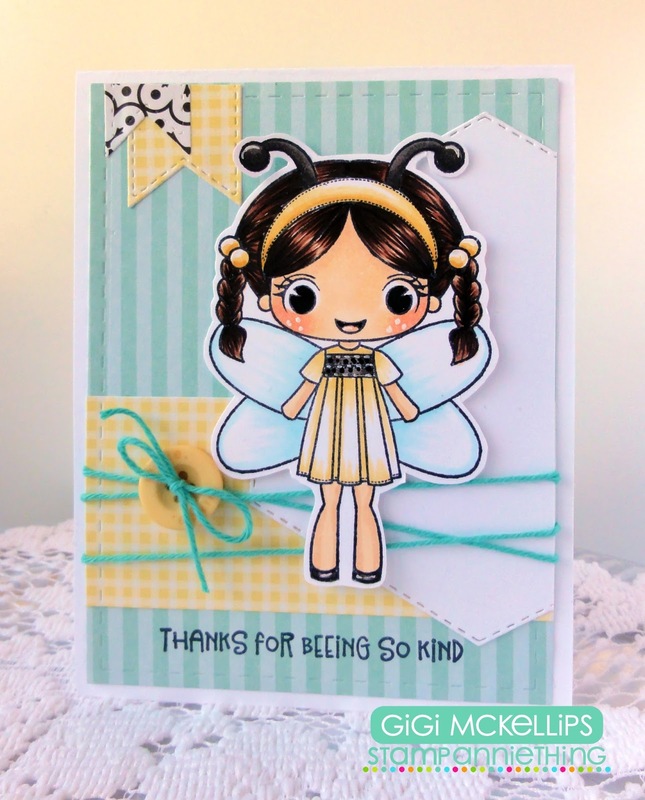 I used the Lorelei-Bumble Bee stamp set to create my card. I cut the white mat using the Stitched Hexagon Dies and added some twine and a button. 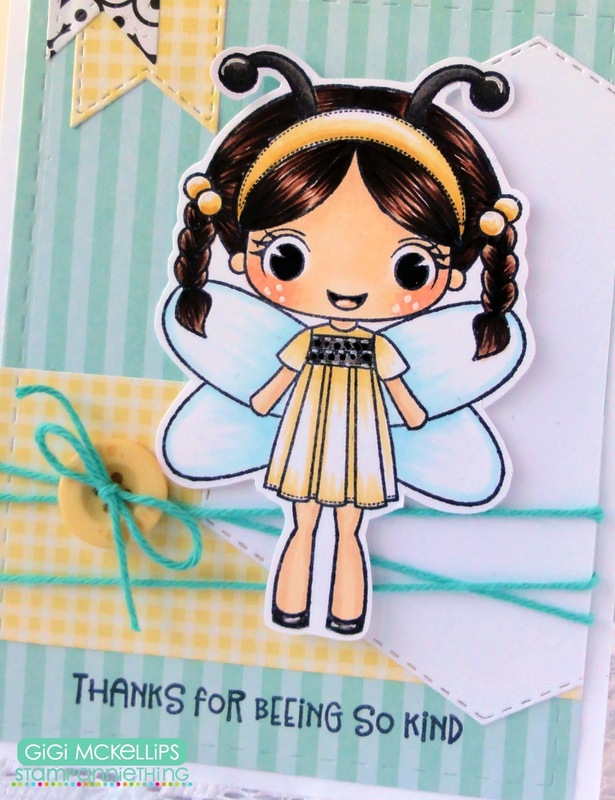 I stamped and colored Lorelei with Copic Markers and added her on pop dots. The sentiment is stamped from the Peachy Keen On The Pond 4 stamp set. To finish, I added some flags to the top cut with the Card Layer Dies 1 and Candy Charms and Banner Dies.